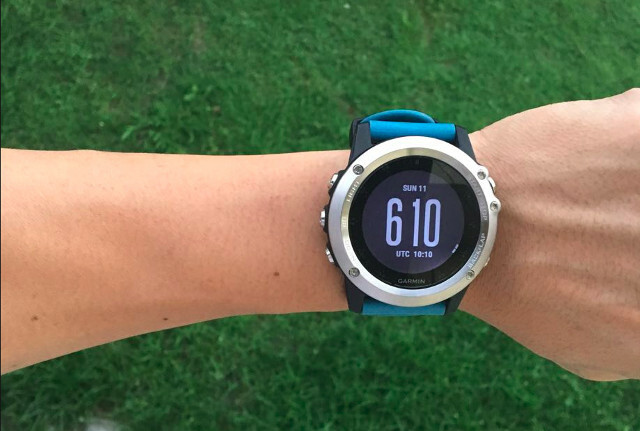 I bought my Fenix 3 HR in Novena Square about three years ago for more than S$1000. 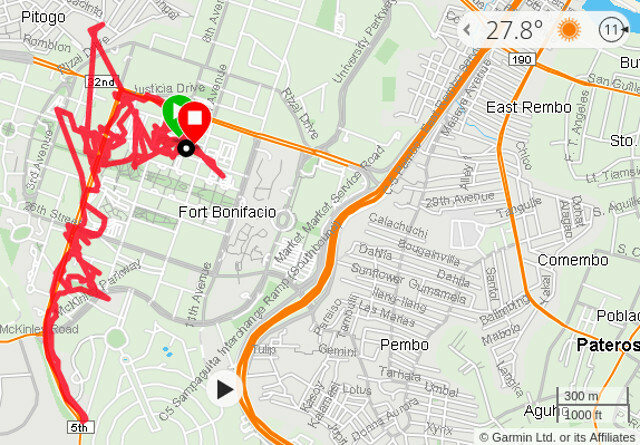 The reason I got myself a multi-sport GPS watch was to jump-start my love for running and what better way to do this is by throwing wads of cash for a Fenix 3. I would've wanted the sapphire version but the price difference with the regular one was way too much for me and I couldn't get myself to open my wallet and throw away a few more bucks for aesthetic reasons. Another reason why I chose Fenix 3 over the competition is because of the good review the watch received from Ray of DC Rainmaker. I am now regretting making that decision and using his review as one of my source of truth. Since I purchased it, I have been using it sporadically because of the inconsistencies that I've been getting from its GPS readout. If I have to compare, my Soleus GPS watch performs better in this area. It may take a good 4-5 minutes before it can get those satellites but once you have them the results is just accurate or near accurate. This was my only gripe with Soleus. Other than that, it is a pretty solid watch and it served me well on multiple occasions. I was under the impression that moving to a fancier watch will fill the gap that my Soleus was lacking. An expensive mistake! I have been on situations where I had to stay still for five minutes (even more) before my Fenix 3 picks up a satellite - on a clear weather! To make things worse, the accuracy is unacceptable. I have my MilestonePod affixed on my running shoe as my backup in case I forgot my GPS watch or it runs out of battery. Just last week, my Fenix is saying that I ran 4.7 miles but my foot pod recorded 2.8 miles. I used RunMyRoute as my 'other' source of truth and the results coincided with my MilestonePod. I went out for another run and Fenix came back with 5.6 miles but reality says it was only 3.2 miles. I hope by now you can already sense my frustration with this expensive piece of junk. Some of you could be thinking - "why not bring it to a service center?" Which I did! My watch stayed with them for 3 days and came back the same as it did before I sent it out. The recorded data that I shared earlier was AFTER my watch was supposedly looked into by Garmin's service professionals. Just a shame that for a company who specializes in GPS technology they could not address the issue. I might give Polar M430 ($199.95) or Suunto Spartan HR ($300) a try. I've been hearing good feedback from these products. I do hope that both won't disappoint like what Garmin did. In the meantime, I will be sticking with my Fenix for my weekly runs until a better (and affordable) watch comes along. I've thought of trading to Fenix 5 but I need to strip myself with $400 which means that my watch (like an old iPhone) is practically worthless. 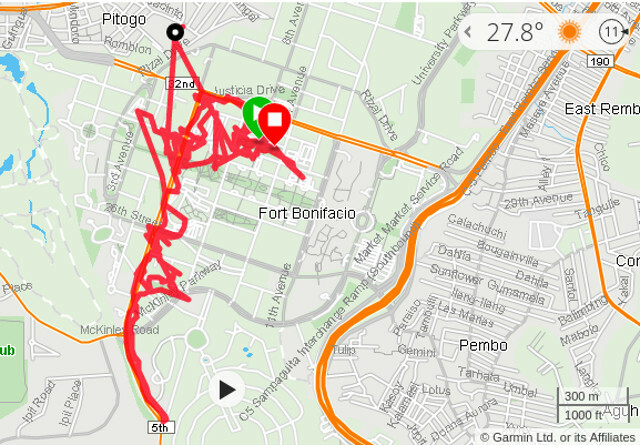 I've seen on forums that the latest Fenix is also plagued with the same GPS issue.